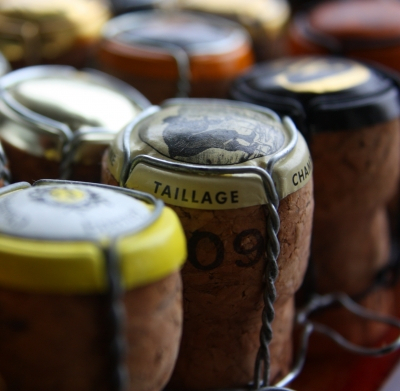 Champagne: Do vintages matter? Yes. On Saturday morning this Easter weekend I was in a particular state of undress when a rapid and startling knock came at my front door. Who in the world could that be, I asked myself? Then it occurred to me. It was a courier. And he probably had a case of wine for me. Within a fraction of a second I was climbing into my trousers inside-out and through the wrong leg all at once. The case of wine I was expecting had bottles of Dom Perignon 2002 in it, so I was fairly keen to make sure the courier didn’t drive away. I have had one bottle of it in my cellar for nearly a year now and was expecting to add to my collection with this shipment. Except for one small thing. My case contained the 2003 vintage instead. Unfortunately, the company that sold me the wine screwed up somewhere. My invoice said 2002, but they gave me 2003. Cue my sad face. Call this a developed-world problem if you like, but it is still annoying. First of all, the 2002 is – at least in this moment – the better wine and therefore has a higher intrinsic value. Rated 96 points by the best critics in the business (and Jancis Robinson gave it 20 out of 20), it outshines the 2003, which received 93-94 points, depending whose review you read. Now, such a score is no meagre result, and many would argue is closer enough to 96 not to be worth quibbling about, but a higher rating is still a higher rating. Second, I was buying the 2002 not just for myself, but also for a friend who had tried it in the past and wanted more. He didn’t ask for 2003. Third, vintages are important to wine consumers. If I decided I was going to order a cse of Chateau Latour 2005 and instead a bottle of the vineyard’s 2006 turned up at my door, I would be sorely disappointed. One vintage is known for its power and concentration, for being a potential “vintage of the century,” while the other, the 2006, is simply an also-ran known for being ‘all right’ but certainly nothing more. When I phoned the company to alert them to the fact, I was given all sorts of reason why I received the 2003 and not the 2002 as I’d expected. But I wasn’t given a profuse apology or a promise that they’d make it right. In fact they dared to say the 2003 would be just as great as the 2002. Sorry? But that wasn’t what I ordered. The fact is the 2002 vintage in Champagne is considered to be one of the greats, the sort not seen since 1996. Th2 Dom Perignon 2002 contains more chardonnay than pinot noir, while in a typical year the blend is almost exactly 50/50. It has a smoky, toasty nose in the way a Burgundy might and has a nutty flavour and a minerality that gives it a good zing. For the 2003, the climatic conditions were quite extreme and has led many critics to suggest the wines are less good as a result. The winter was particularly cold – unseasonably cold – and then the summer was hot. Extremely hot. The year 2003 was one of a famous – and lethal – heatwave that hit Northern Europe and France in particular. Champagne was not spared. The crop was perfectly ripe, something that is only seen on rare occasions in the region. The result is a wine that is no doubt a very good one, but given that other wines from the 2003 Champagne vintage are quite forward and precocious, the concern is that this one just isn’t as great as the 2002. In fact, Antonio Galloni of the Wine Advocate described the 2003 as “one of the most unusual vintages of Dom Perignon I have ever tasted, going back to 1952.” He described the torrid heat, the fact the harvest was the earliest on record at the time, and the fact the firm’s chef de cave, Richard Geoffroy, has a penchant for risk-taking. Galloni describes 2003 as not having the seductiveness of 2000 or the power of 2002. While Galloni says the wine is atypically rich and powerful, with the usual Dom Perignon finesse, it is also divisive and will require patience for its potentially iconic status to emerge.